The 2018 AOCRA NSW Zone OC6 State Titles will be held in the beautiful Port Stephens, over the weekend of 24-25 March, 2018. The meeting location will be at Shoal Bay Beach. 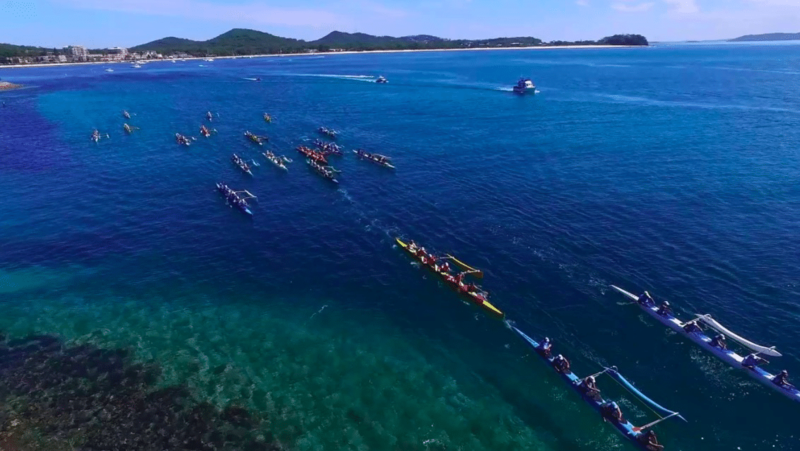 Port Stephens is a great location which provides a variety of race conditions. Further details will be released when available, but for now, please see the 2017 race programme for reference. When looking for local accommodation in Port Stephens, The Retreat has a great range of options available for couples, families and groups. Within close proximity to the location of the meet and plenty of parking space for the Outriggers. Offering a safe, private and peaceful location 15 minutes from Shoal Bay.